Do you know what a glass insect trap is? I didn’t. Nor did anyone else in Westport. 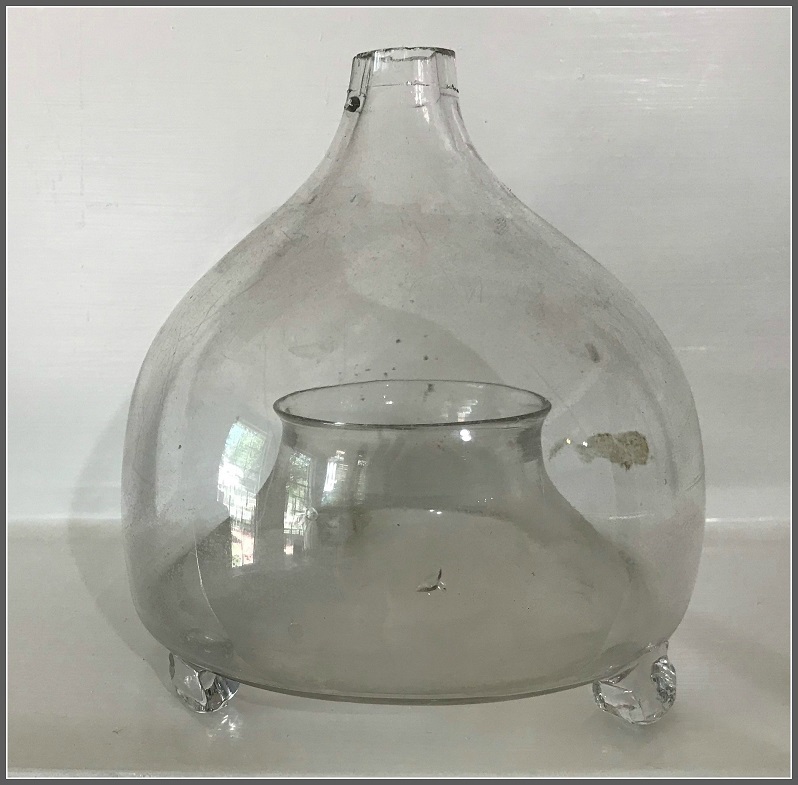 The circa-1880 hand blown glass piece was the latest in the Westport Historical Society’s mystery contest. It’s part of their “Westport in 100 Objects” exhibit. The featured item changes every 2 weeks. If you stop in and identify it, you win something from the gift shop. This week, no one did. Insect traps, or insect catchers, such as this captured pests lingering in kitchens and gardens. Sugar water was poured into the trap, and a cork placed over the narrow opening. Attracted by the sugar, insects such as flies and wasps would be caught in the trap’s belly. In Europe, these traps were used primarily to combat fruit flies at the end of the 19th and first quarter of the 20th centuries. As utilitarian items, most were blown in a clear glass. Some came in color, created by adding elements such as manganese or selenium to the molten glass. This entry was posted in Looking back, Organizations and tagged glass insect trap, Westport Historical Society. Bookmark the permalink. IF YOU PLACE A CORK IN THE NARROW OPENING HOW DO THE INSECTS GET INTO THE TRAP? They fly in the bottom, and then usually can’t fly down to get out again. Yes, insects fly into the trap through the bottom. They work quite well with wasps, either sitting on a surface or hung from a tree or eaves. I actually have one on my patio. Does a great job! I think Simon Pearce should start making these. It’s beautiful! My grandmother (in Sweden), who passed away in 1969, always had one with syrup in, especially good for getting rid of the wasps when her cherries were ripe!